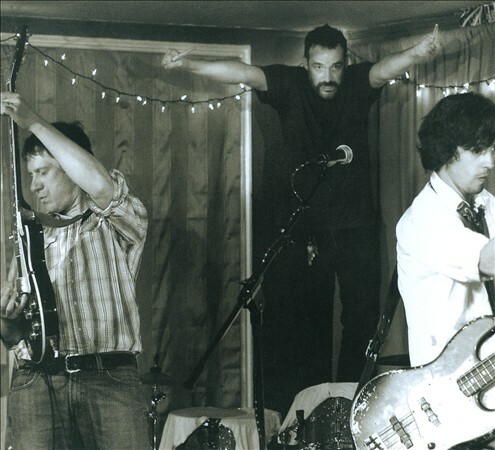 In the spring of 2008, we rolled into Los Angeles armed with a batch of brand new, unrehearsed songs and keyboardist Scott Janovitz. On top of the studio time we had booked, I had the terrible idea of adding shows to our schedule. We would record all day, take a dinner break, go to whatever show was booked, stay up all night catching up with west coast friends, then do the same thing the next day, then the next, and the next....Not the best situation for getting usable takes. Sessions continued for a bit in Philly at G Love's studio and then a lot of time passed before we continued work on the album. I've always felt that the band really needed a producer for this record. We had successfully produced Palais & Follow Jean on our own, but by the time we hit this record, we had run out of steam in the production dept. The next set of sessions in 2009 we did at Scott Riebling's studio. Scott recorded the first Gentlemen record and I've always enjoyed working with him. Just what the doctor ordered... Those sessions were so easy and fun, it inspired us to book a final set of sessions with Seth Powell at the original location of his Soundcheck Republic studio to finish the record. The Man Who Fights Himself was finally released in spring of 2010 (Two years after we started it in LA) with very little fanfare. The idea to remix some of the record has always been in the back of my mind. A few people over the years have asked when this would be released on vinyl. It made sense to me that when we did get around to putting it out on vinyl, that I would take the masters, remix most of the record, and have it remastered by Mike Quinn specifically for vinyl. Well, I finally got around to this project last Oct-Dec with the help of Ducky Carlisle. Hopefully this re-release will give The Man Who Fights Himself some attention we feel it didn't get the first time around. It's not our best record, but it's a solid record with some great songs, and a great cover photo taken by Joseph Duel at the legendary Caffe' Lena in Saratoga Springs which is also the home of The Man Who Fights Himself!